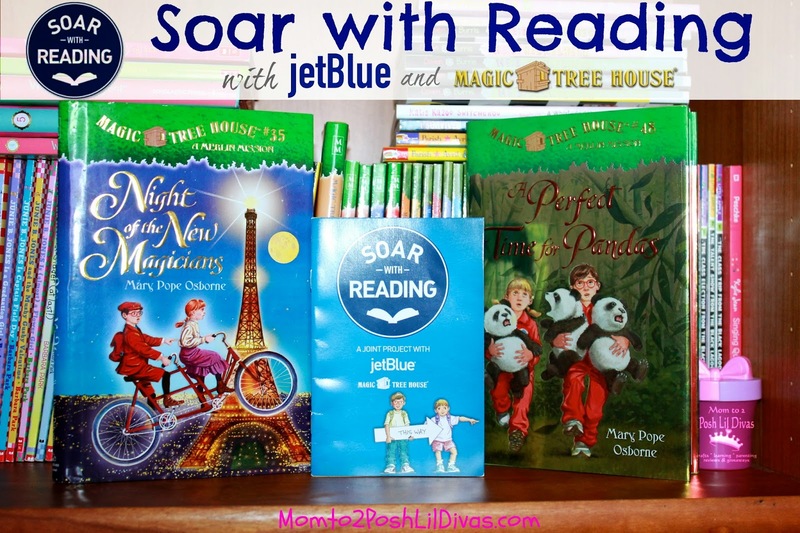 Google+ Mom to 2 Posh Lil Divas: Soar with Reading via Magic Tree House and JetBlue! Soar with Reading via Magic Tree House and JetBlue! JetBlue has partnered with Random House and beloved Magic Tree House author, Mary Pope Osborne to bring you this summer's Soar with Reading program. The Lil Divas and I were SUPER excited when we saw the Soar with Reading display in the airport during our recent travels to San Francisco. The Magic Tree House series has been one of our favorite series for years. Personally, I have been sharing Jack & Annie's adventures with my students for many, many years. These books are perfect for the classroom because they impart historical facts in a way that is just so captivating to young readers. My students always wanted to know more about the topics covered in the books. Isn't that what it's all about - igniting that spark and nurturing a child's curiosity and desire to know more! The Magic Tree House books were among the first chapter book series that the Oldest Diva embraced. She became so engrossed in Jack and Annie's adventures that she wanted to read them one, after the other. Finding an amazing chapter books series early on that she could read independently while readily identifying with the characters (Jack and Annie were kids just like her!) and that contained adventures that she not only learned from but that kept her turning the pages is one of the reasons that she went from a reluctant reader to an engaged reader - thank you Mary Pope Osborne. These days, the Littlest Diva is happily reading through her big sister's copies of Magic Tree House. Our book shelves are lined with books and both girls have embraced many series but Magic Tree House remains one of our favorites and we always look forward to reading new titles from the series. Looking for a way to extend your current Magic Tree House book? Enriching your child's reading experience with fun activities, crafts and discussion is a great way to aid their comprehension and get them even more excited about reading. Hop over to the Soar with Reading site. There's lots to do including getting your own printable passbook that you can use this summer. 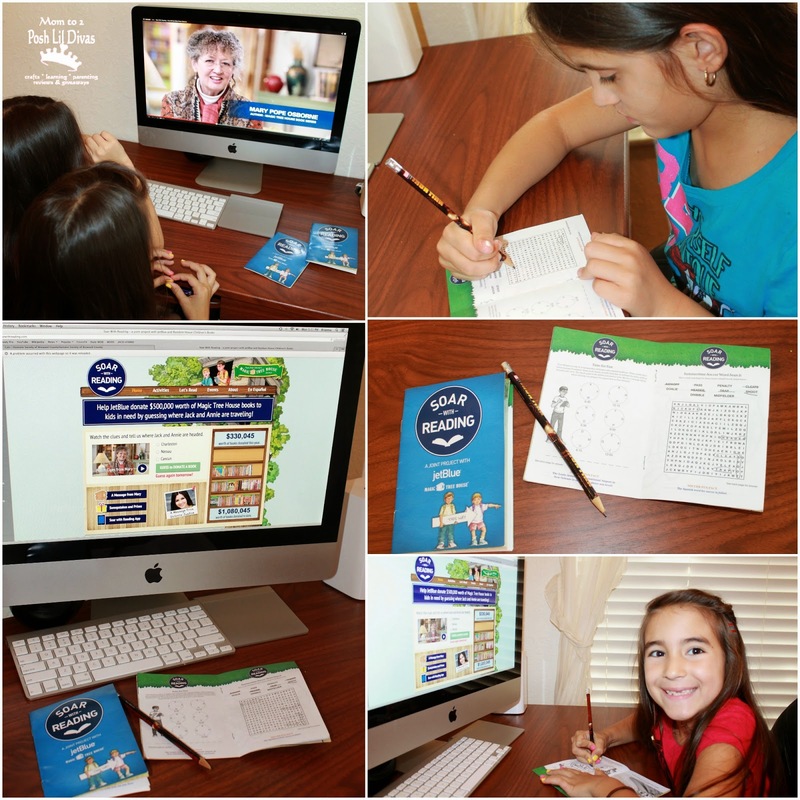 You can download great printable activities based on various Magic Tree House books. You can even listen to excerpts of Magic Tree House books being read-aloud. Don't forget to vote for your favorite book, send some fun e-cards and read through a complete list of ALL the Magic Tree House books in order to help you plan your perfect summer reading list. The site also offers details about upcoming events (the next event is in my old hometown - New York) and you can watch a message from Mary Pope Osborne which gives more details about the program. This summer, as you and your child(ren) explore all that the Soar with Reading site has to offer don't forget to watch Mary's clues and take a guess about where Jack & Annie are headed next. We have been making our daily guesses. Every guess you make will be helping get books to children in need. How awesome is that? 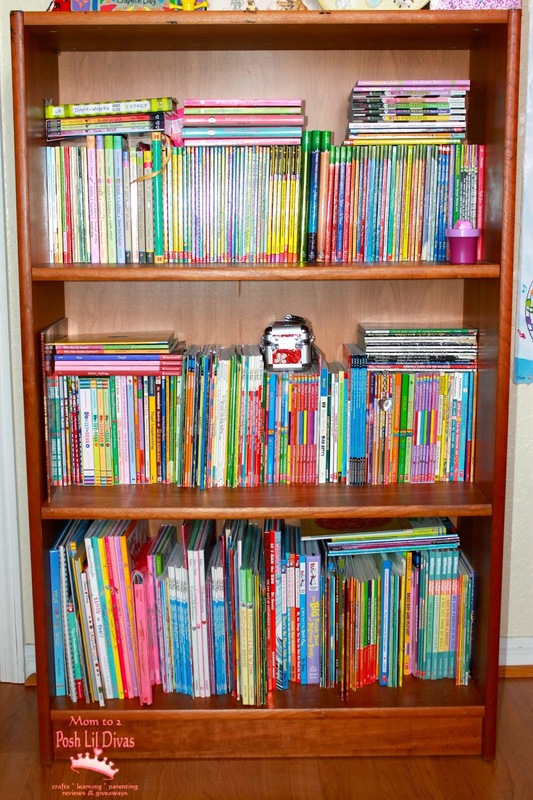 What an easy way to help other children get the books they need to keep reading this summer. 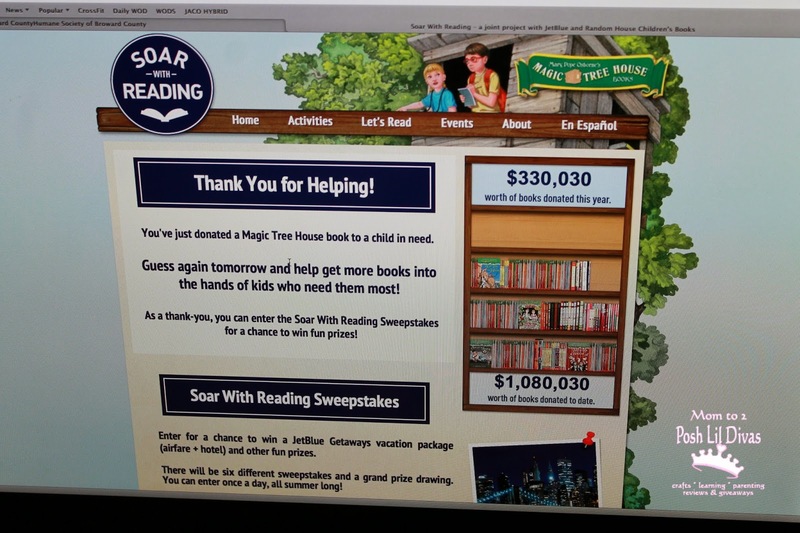 To date, JetBlue and the Soar with Reading program have donated over $331,350 worth of books and counting. You can guess every day and help JetBlue reach their goal of donating $500,000 in books to children in need. 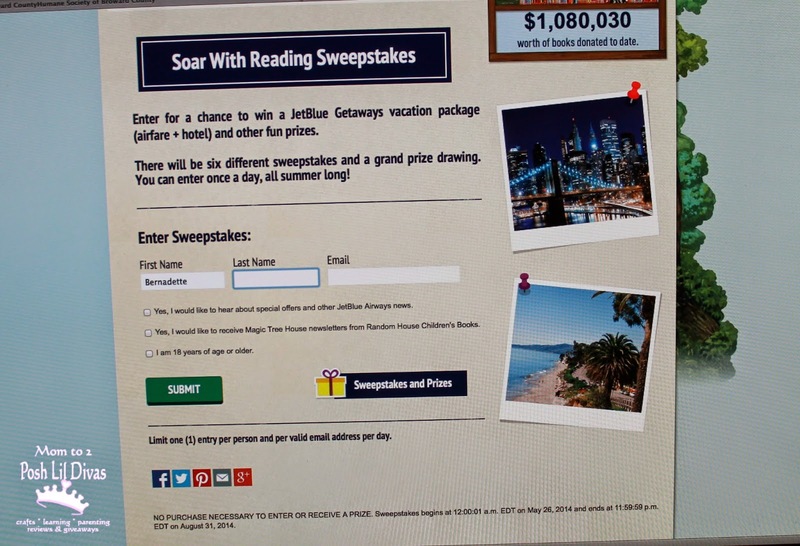 Be sure to enter the Soar with Reading sweepstakes for a chance to win one of six first-prize trips throughout the summer, which will include a JetBlue Getaways Travel Certificate for two and an autographed copy of Magic Tree House #52: Soccer on Sunday, or a grand-prize drawing, with first prize being a JetBlue Getaways vacation for up to four people and a Magic Tree House boxed set of books. Second prizes, which include a Magic Tree House boxed set, will also be awarded. If you haven't had the opportunity to explore a Magic Tree House book yet, the website is a great place to start. These books are a great way to encourage summer reading and engage your child(ren) in a reading adventure that will captivate their minds with thrilling stories that involve travel, history, science, friendship and more. We still have lots of books on our summer reading list and we're looking forward to reading more of the Magic Tree House series. The great thing about books is that you can take them anywhere, even during your summer travels. Books have definitely made our long car rides, airplane rides and waiting times pass by in a blink this summer. What books are on your child's summer reading list? Do they have any favorites they are looking forward to reading this summer? Disclosure: All opinions expressed in this post are my own. 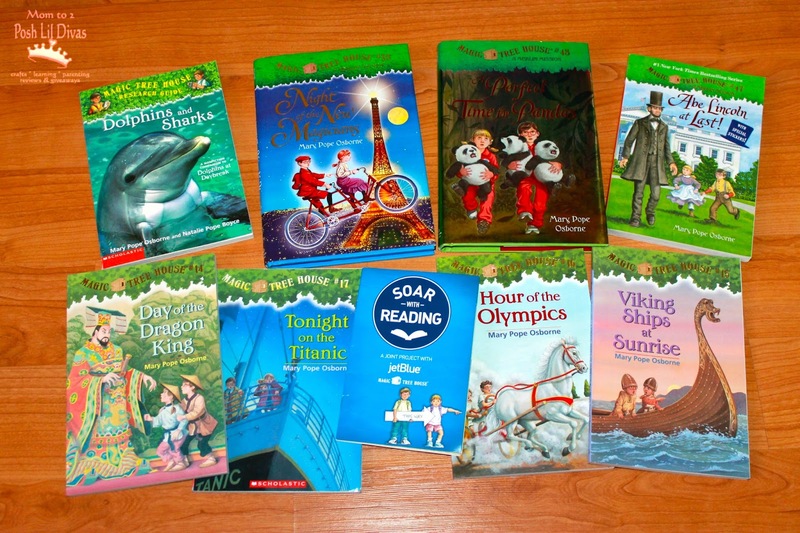 I was genuinely excited about sharing this #sponsored #MC #soarwithreading program because Magic Tree House books have been a favorite in our home and in my classroom for years. My kids love superhero and Disney books! My oldest started out on the Magic Tree House series too! We're also spending our summer reading The Calendar Mysteries by Ron Roy and the Rainbow Fairy series... with quite a few random books thrown in the middle. What a cool program! Love the charitable aspect. Thank you for sharing! I agree Asia, it's awesome when big companies take the time to give back in awesome ways. as an educator, I LOVE that their are promoting reading and helping kids who don't have easy access to books when school is out! We're big Magic Tree House fans too!! I'm excited to check out the program with my oldest tonight. Thanks for sharing! Hope you both enjoy it. Be sure to take your guess on where Jack & Annie are headed to next! Looks like a fun website and a great way to get kids into reading. We'll have to check it out. Thanks for sharing.